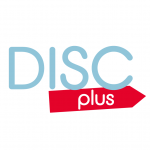 We are the DISCplus Team. We are here to provide information to parents and carers of children and young people with additional needs in Devon. Special Educational Needs and Disability - Some children and young people have special educational needs (SEN) and these differing needs mean varied levels of support are required at different times. We aim to provide a range of support so that children and young people with SEN can be educated and enjoy social opportunities alongside their peers, in their local community. Fun, accessible games & activities designed specifically for young children & those with learning difficulties. Safeguarding in Devon - For important information about safeguarding children and vulnerable adults from abuse, please click on the link below. Remember, safeguarding is everyone's responsibility. Counselling Directory - If you're in need of support, search our network to be connected with a professional counsellor or psychotherapist.